This is a HUGE topic for so many of us, and not one I’ll go into depth with here YET, but I wanted to invite my readers this Wednesday, Nov 1, at 7pm to join me in a chat and exercise in letting go of some of these demons that get in the way of our creativity, our mental and physical well-being and even relationships. 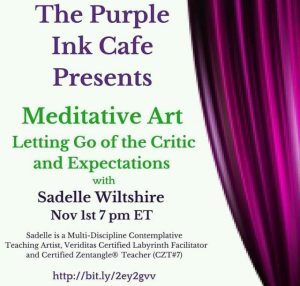 I’ll be joining Mary and Kathy, the fabulous hostesses of the Purple Ink Cafe, and we WILL do some art, so bring a fine line pen, a pencil and paper as well as a GIVEAWAY to one of my online meditative art classes (including a brand NEW one one yet to be announced)! REGISTER NOW to receive the webinar location room on the Zoom platform. 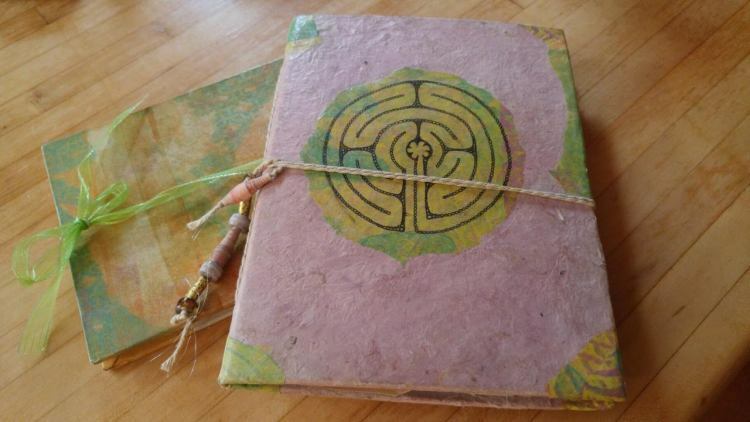 On the topic of letting go of expectations, I also wanted to share with you a full flip-through video of my labyrinth journal for you to enjoy. It’s very special to me and has seen me through some turbulent times, and been a meditative tool for me to us to work on personal as well as spiritual transformation. Letting go is very much an active part of walking the labyrinth. As I was creating the book and pages, I brought an intention that released in both the art journaling as well as my personal writing and used to quiet my mind into a more open and aware state. When I walk the labyrinth with my pen, fingers or my feet, it’s another way that I practice the letting go of stress, concerns and the letting in of Spirit. 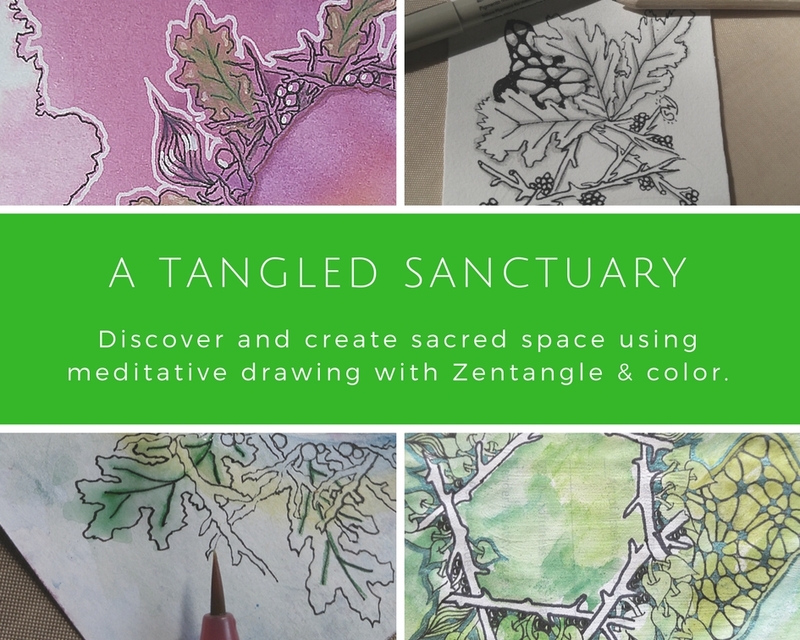 I’ll also be offering a free “Letting go into the Holidays” series of helpful tips with some intentional art to VIP TangleVermont Email Newsletter Community…. SIGN UP NOW and I’ll be sending out info about it soon! Enjoy the video! P.S. 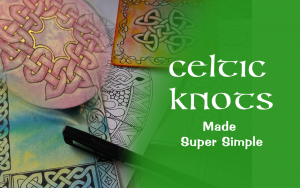 As to the actual art journaling, drawing and more about using labyrinths, I’ve been thinking of turning parts of this into a tutorial style e-book or an actual series of online classes… what would YOU like to see? 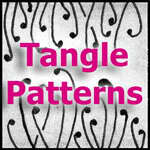 Contact me with your thoughts and requests HERE.